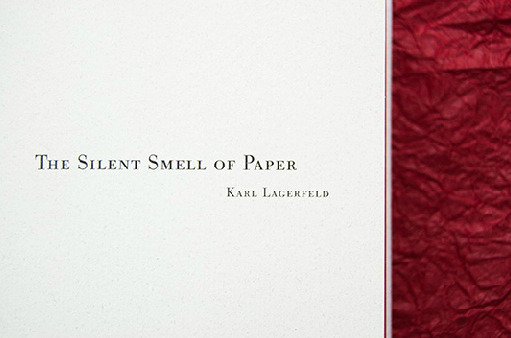 Paper Passion” is the name of a perfume that is also a book, made by persons from completely different worlds: Karl Lagerfeld, Gerhard Steidl and Geza Schoen. Words and books belong to an endless universe. The essences that we discover just by turning the pages are also quite peculiar. 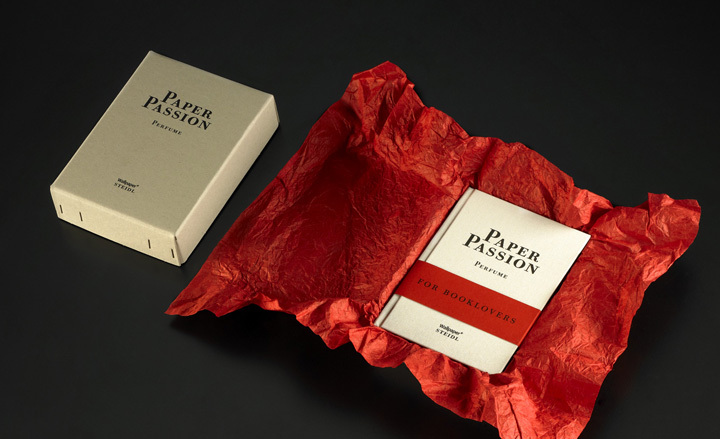 “Paper Passion” is a brand new book and perfume which results of a mix of emotions, fashion outlines and literature discoveries. In honor of the books’ world, those three iconic personalities created a fragrance devoted to booklovers. Most perfumes are made from over 20 ingredients, but this one has a strait composition, only with five ingredients. To capture the paper atmosphere and essence was the hard task for Schoen. 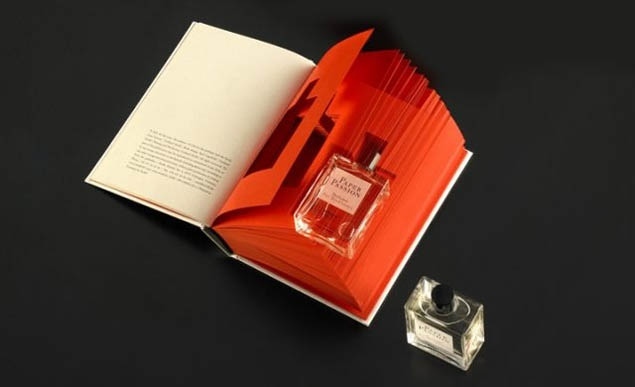 Lagerfeld and Steidl were responsible for the design of the book and the packaging. While everyone is forgetting about books and the magical atmosphere of reading one, those three personalities bring the world a material essence, full of passion, paper and infinite words.